Destiny Fakayode is looking forward to a globetrotting career after completing her international business degree. 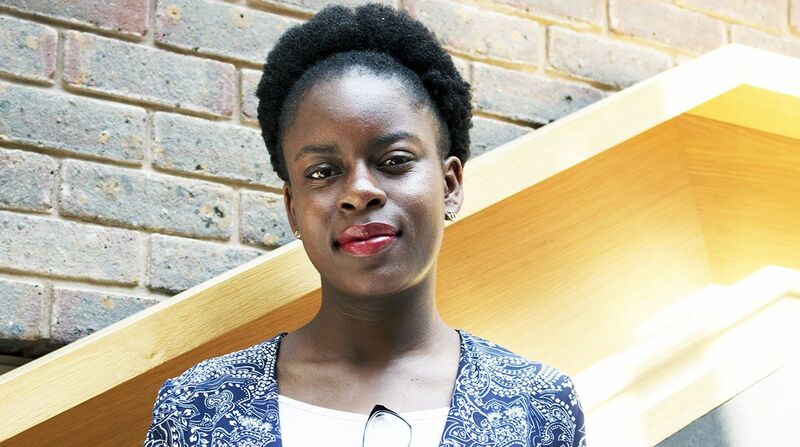 When Destiny Fakayode didn't quite secure the A-level grades she needed for her initial nursing degree choices last summer, she didn't despair and instead took it as a sign to think again about what she wanted to study. While many of her friends had been keen for her to take up the subject, the 19 year old from Hornchurch in Essex had been having a few niggling doubts about whether nursing was really right for her so once she'd opened her results she set about looking at other courses available in Clearing that might better match her entrepreneurial drive. "I think I'd always known deep down that nursing wasn't for me but it took the door being closed on that subject to confirm that I needed to turn in the direction of business," Destiny said. She quickly discovered that Kingston University had spaces on its BSc(Hons) International Business with Business Experience course. A call to the University's dedicated Clearing hotline led to Destiny being offered a slot on the programme which she quickly chose to accept. She was favourably impressed by how smooth the process was. 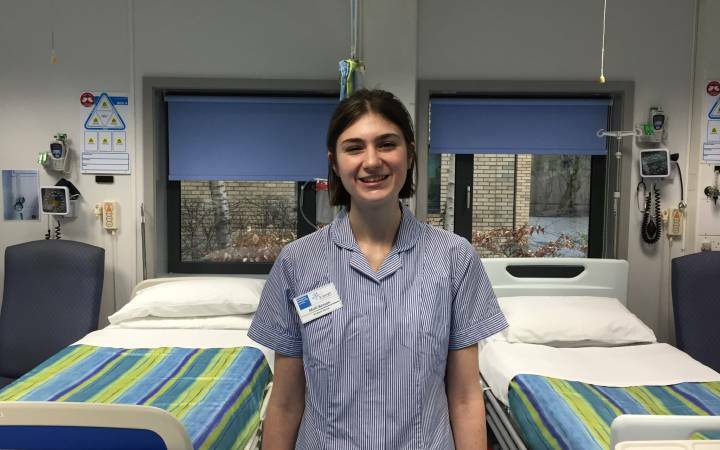 "Not getting on to my first choice degree was obviously a disappointment at first, but I'd always been interested in business and it dawned on me that I might have been a bit hasty in my decision to choose nursing," Destiny explained. "When I called the hotline I was worried that I wouldn't be as attractive to the University as other students as I'd initially been heading toward a different course subject. I was put through to the course director, though, who took the time to talk to me about my interests and strengths to ensure I matched the course requirements – I was over the moon when I was offered a place." 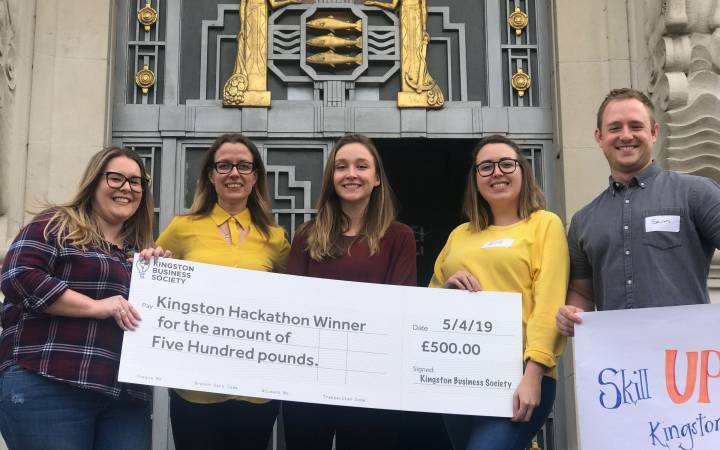 International Business with Business Experience is a three-year fast track course at Kingston Business School which allows students to acquire experience in an organisation or partner institution for up to one year. The course also includes a business readiness module which prepares students for professional life – including CV building, interview technique training and negotiating skills – all designed to give students a head start in the business world. Destiny passed her first year with flying colours and has embraced the challenge of university study. "My course is really intense but varied and has taught me the value of a strong work ethic," she said. 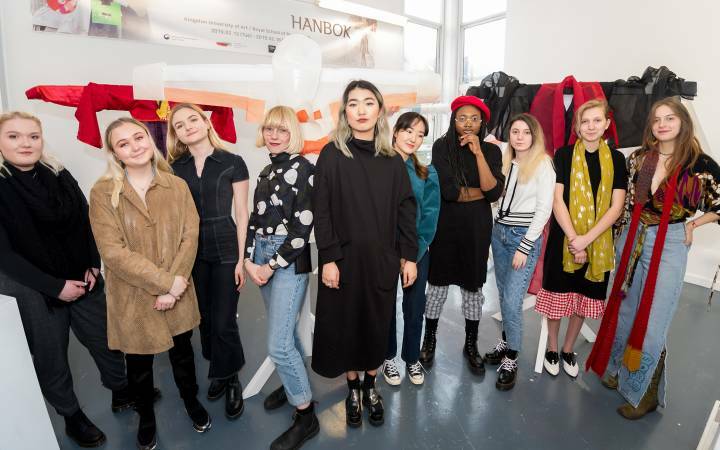 "The business readiness element provides a unique selling point for when I graduate and the programme directly led to me securing a short internship with Global Girl Media UK – an amazing charity which helps to give a voice to, and train, young women from disadvantaged backgrounds in the under-represented, male-dominated film, media and journalism industries." Destiny, who is helping out with the company's social media pages and summer training programme, said a large number of people had applied for the prestigious internship. "I would not have been successful in being offered this opportunity without the skills I acquired on the business readiness course," she added. Senior lecturer in international business Dr Rita Kottasz said the international business degree was the perfect programme for students to prepare themselves for the current global working environment. "Today's business world is highly focused on international activity so executives and managers need to have a truly multinational and multicultural mindset," she said. 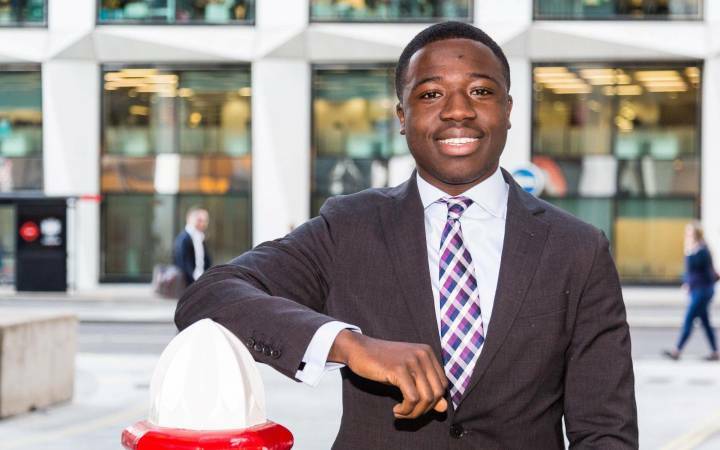 "The programme we offer explores the core elements of international business but also teaches transferable skills that will improve our students' employability as they enter the professional environment. Destiny has really embraced the opportunities on the course and has achieved top grades – proving that entry through Clearing is no handicap for a motivated and engaged student." Having experienced Clearing herself, Destiny urged students to be sure of what they wanted before accepting their university courses. She believes that Clearing provided her with the safety net to study a course that she was genuinely committed to instead of plumping for one that she thought others wanted her to do. "The most important thing is to stay calm and be true to yourself," she said. "Not receiving the grades you thought you needed isn't the end of the world if you're prepared to be open-minded and do what really makes you happy. Like me, Clearing might even lead you down the path you were always meant to be on." Find out about coming to Kingston University to study international business with business experience through Clearing. Kingston University's hotline for Clearing, confirmation and adjustment is open on 0800 0483 334 for UK callers. Calls are free from a landline. Mobile charges may apply – please check with your provider. Students calling from overseas should dial +44 (0)20 8328 1149. The hotline is open from 9am to 5pm, Monday to Thursday and 9am to 4.30pm on Fridays until Friday 28 September. The hotline is not open on Saturdays or Sundays and is closed on Monday 27 August for the bank holiday.